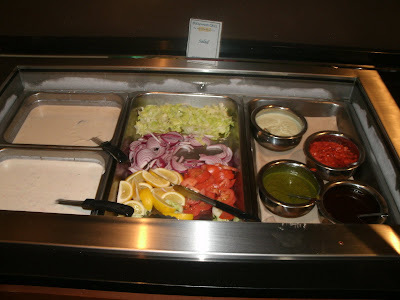 The standard salad bar was offered, but we opted for more adventurous dishes. Veggyhead's lunch consisted of (going clockwise starting with the white puff pastry): Vegetarian Samosa (Homemade turnovers stuffed with lightly tempered and seasoned diced potatoes and peas), Vegetarian Biryani (Aromtic Indian Basmati rice cooked with fruit, nuts and vegetables), Alu Tikki (Mashed potatoes and pea patties deep fried in chickpea batter), Broccoli Pakoras (broccoli deep fried in chickpea batter), Dal Amrit Sari (A lentil delicacy made famous by a dhabha-roadside eatery, outside the Golden Temple in the holy city of the Sikhs), Palak Paneer (Chopped spinach, homemade cheese, tomatoes and onions cooked with cream, garlic and fresh ginger), and Novratana Korma (Assorted garden fresh vegetables cooked in a rich gravy with yogurt and mild spices). That's a mouthful in itself! 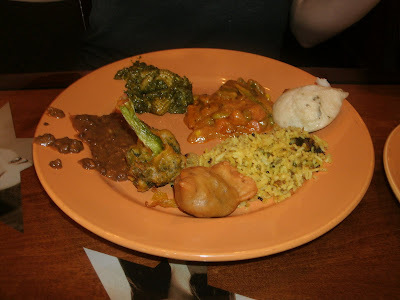 Daddy had goat curry, everything that Veggyhead had and a variety of skewered meats. 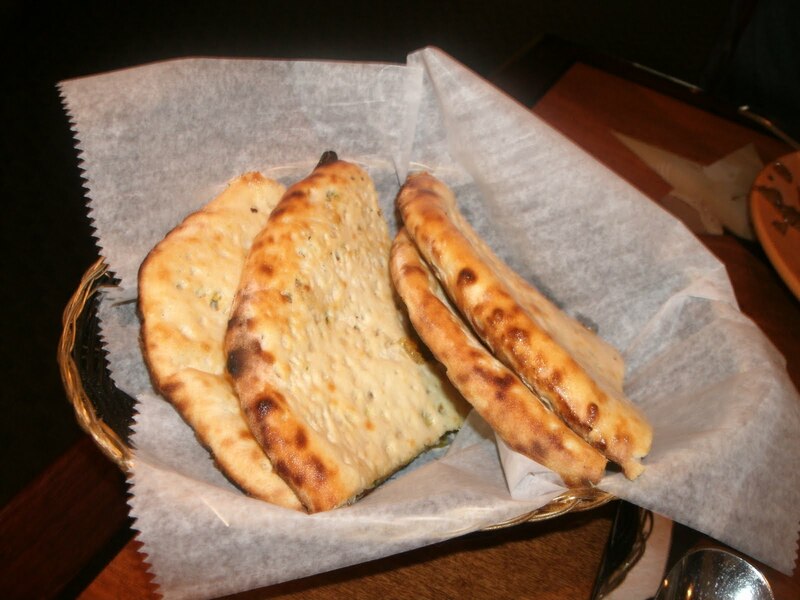 A nice basket of Pishawari Nan came with the meal. There have been a lot of Indian restaurants popping up in the Metrowest Boston area lately. Judging from how good this lunch was, I can see why. 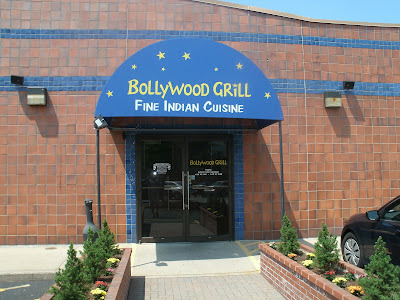 The best thing about the Bollywood Grill is that Veggyhead and carnivore alike can eat together with both leaving full and happy.